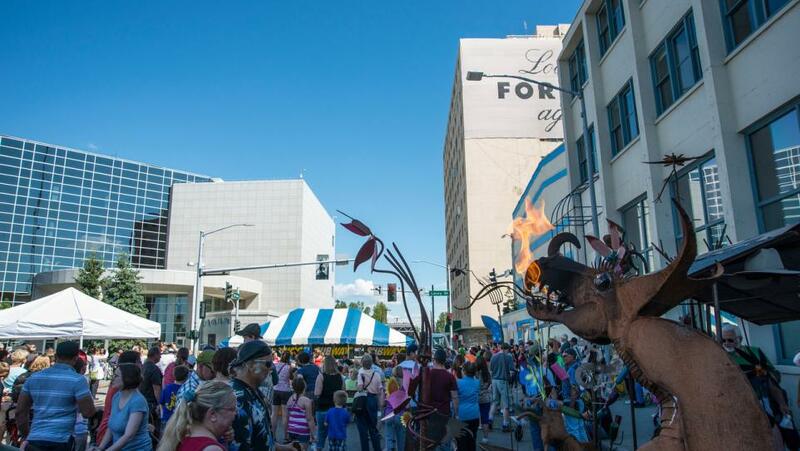 Come downtown to the annual Midnight Sun Festival! The annual Midnight Sun Festival is one big community celebration of the summer sun. 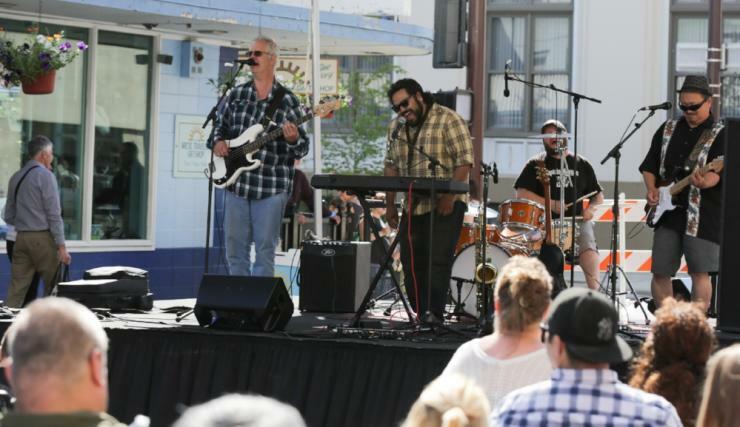 In 2019, it will be in its 38th year and is Alaska’s largest single-day event, where 1st, 2nd, 3rd and 4th avenues become pedestrian only and a huge street fair party comes to life. So much to see and do under the midnight sun! 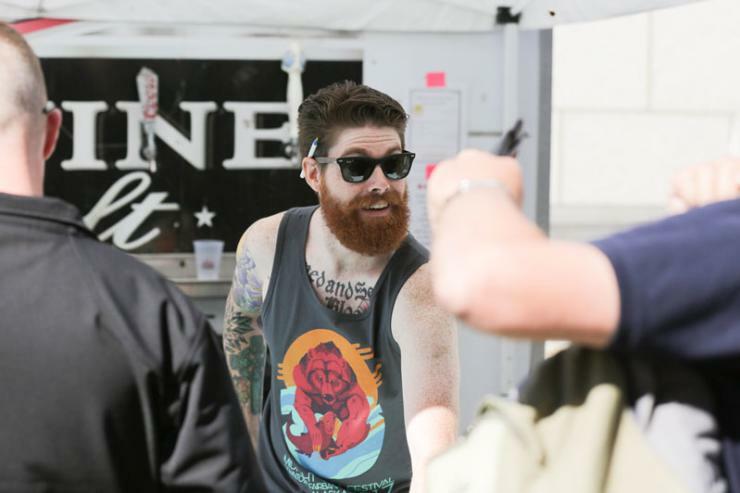 The Festival features nearly 200 vendors offering a variety of shopping and eating opportunities and 35 live performances across three stages. As the Festival is a large fundraiser for the Fairbanks Downtown Association, be on the lookout for volunteers selling raffle tickets. In the past, they have raffled off 4-Wheelers, roundtrip tickets on Alaska Airlines and Ravn Alaska, as well as other major prizes. Read about 10 events that happen under the midnight sun. Other events within the Festival include a kid’s activity park, a skate park, pony rides, a petting zoo and gold panning. There are even carnival rides, a beer garden with local and Alaskan craft beer, as well as a WWE-style wrestling event by the Fairbanks Ladies of Wrestling. Ready to plan to have some fun under in the land of the midnight sun? Request one of our comprehensive visitors guides or read it online here.